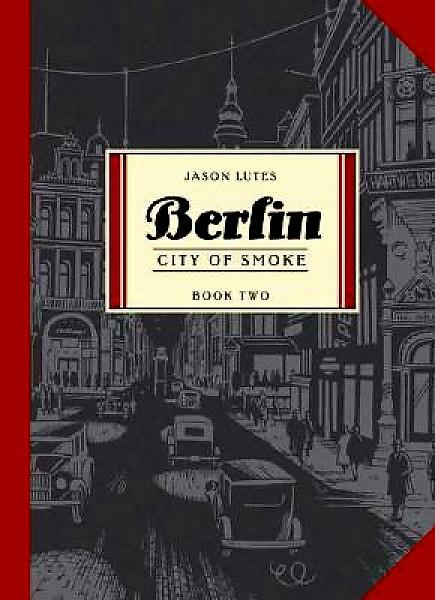 While checking out reviews for Jason Lutes’ graphic novel Berlin: City of Smoke (Books I and II available this fall in the High School Library), and trying to see if there was a third volume out yet, I found this super cool video interview from The Wall Street Journal Online that opens with Lutes’ paying tribute to D&D and the influence role-playing games had have on his storytelling: “I played the very first edition of Dungeons & Dragons in, I think it was, 1978 was the first time that I played. It allowed me to be an active participant in a story.” He goes on to flip through a seriously vintage D&D Monster Manual and talk about how, when reviewers comment on how believable and coherent the world is that he creates in Berlin, he attributes “some of the success of that aspect of the story” to playing role-playing games. Super. Cool. He goes on to talk about his writing process, outlining the chronology of events in the story, diagramming page layouts, working on pencil drawings with a light box, then inking the final artwork. Filmed in his office/studio which creates a neighbor-dropping-by feel that makes you just like the guy and want to read more about him and his work.